Product Image Item Name- Price Qty. ARMED SERVICES INSIGNIA This one-piece vinyl sticker is approximately 9 x 9 inches. You're number ONE with these crossed CHECKERED FLAGS This one-piece vinyl sticker measures approximately 12 x 6.75 inches. FREEDOM EAGLE This one-piece vinyl sticker measures approximately 12 x 7 inches. FREEDOM EAGLE at the ready This one-piece vinyl sticker measures approximately 9 x 6 inches. 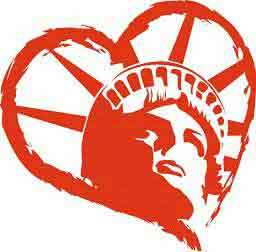 Symbol of Freedom STATUE OF LIBERTY This one-piece vinyl sticker measures approximately 5.25 x 12 inches. Symbol of Freedom STATUE OF LIBERTY This one-piece vinyl sticker measures approximately 6 x 6 inches. Symbol of Freedom LIBERTY BELL This one-piece vinyl sticker measures approximately 6 x 7.75 inches. LOVE USA This one-piece vinyl sticker measures approximately 11.5 x 9 inches.